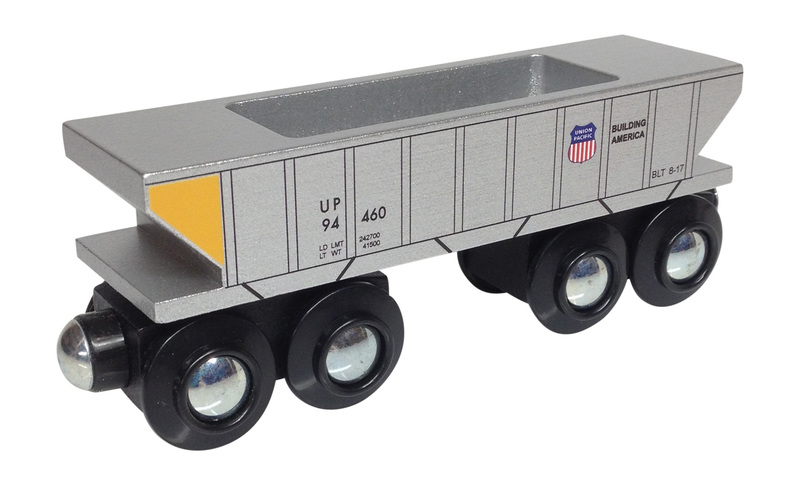 This Union Pacific Hopper Car wooden train represents the real trains you see on today's railroad tracks. It can carry your tiny treasures down the line! It is 4-1/2" long and made of solid Beech hardwood. Crafted by hand & painted in detail, the quality of these wooden trains are of the highest standards. 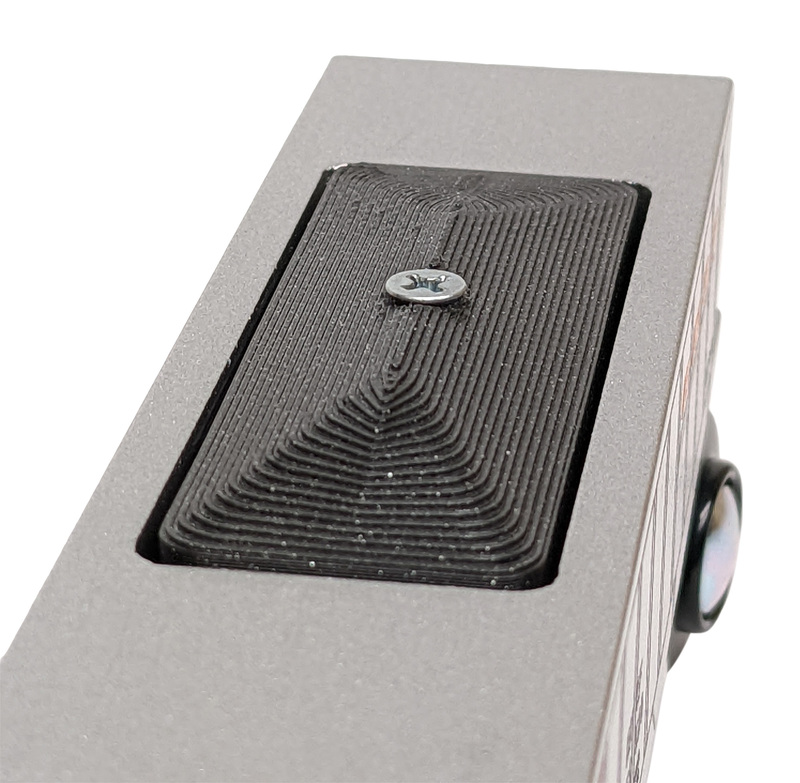 Cargo hold is 2-1/2" long x 7/8" wide x 5/8" deep and fits standard magnetic cargo blocks from Thomas Wooden Railway, Choo Choo Track & Toy Co. and many other brands. Even holds LEGOS and such.